It’s kitchen month at Oxford House. The beating heart of any home, purchasing a new kitchen is something very special, so it is only natural that one would want to get things 100 per cent right the first time around. 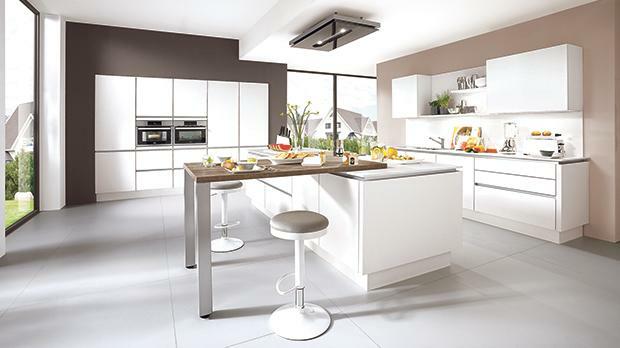 Currently on show at Oxford House, German kitchen brand Nobilia offers a variety of styles, features and colours to suit all tastes. The sales team at Oxford House can guide customers and propose ideas to help one create their dream kitchen – from superb decor elements, colours and finishes to special architectural solutions, high-quality technology and versatile accessories. One can be kept well-informed before they begin planning all the details. The Nobilia collection offers a variety of styles, from a modern or industrial look to a kitchen inspired by nature or even a modern cottage look. Oxford House does not only offer free Bosch appliances with every kitchen purchased, but has also added a free Bosch dishwasher during this month with every kitchen bought. Nobilia kitchens and Bosch appliances are covered by a five-year warranty, which gives customers peace of mind. One can click and browse through Oxford House’s online catalogue on www.oxfordhouse.com.mt and read various blogs to guide customers during the planning process.